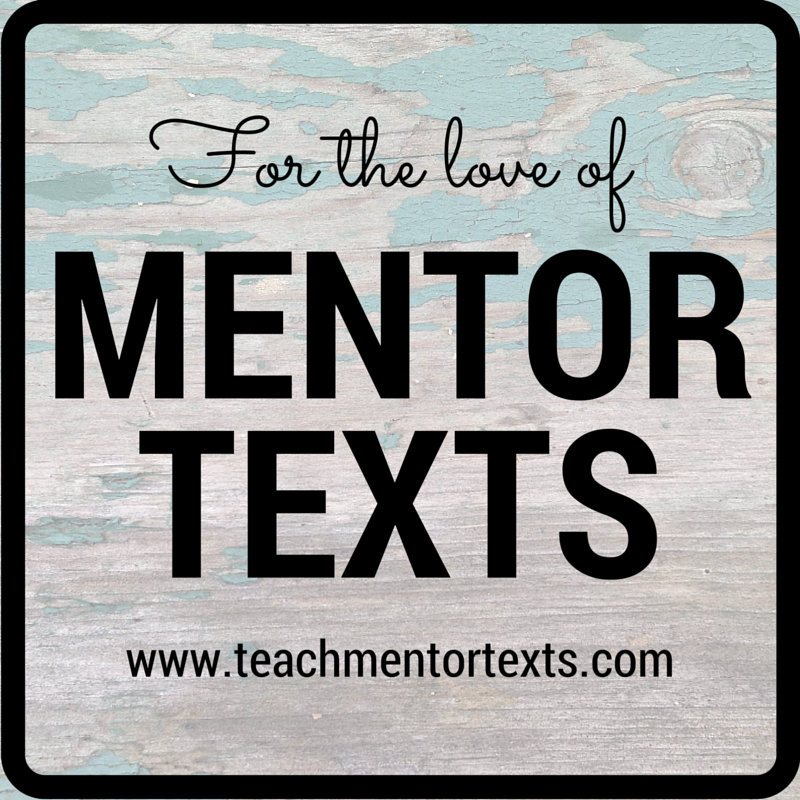 Welcome to another post in my series For The Love of Mentor Texts! We're celebrating today with some mentor texts for writing novels in verse from Marcie Flinchum Atkins. I hope you are as inspired by her ideas as I am! 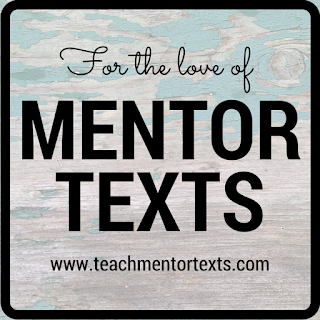 I use mentor texts at all different points in my writing process, and I use them for just about every type of book that I write (picture book, middle grade, poetry). I began a novel in verse a few years ago, then put it in a box. This past spring, something made me pull it back out again. I planned to attend a Novel in Verse retreat at Highlights in an effort to revise this book. At different stops along this process, I used other novels in verse as mentor texts. The first thing I do when I’m studying a particular type of book is read a LOT of it. Heather Sellers calls this THE BOOK 100 in her book CHAPTER AFTER CHAPTER. The idea is that before you ever set out to write a particular type of book, you have read 100 of them. Writing a mystery for middle grade readers? Read 100 of them. 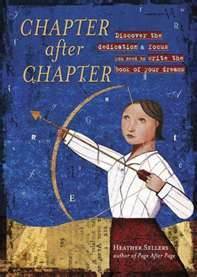 Writing a magical realism book for young adults? Read 100 of them. Then I began to read specifically. For example, I love Margarita Engle’s novels in verse, so I started reading as many of her books as I could. I also wanted to read as many books set in other countries as I could. Mine is set in Thailand, but I wanted to see how authors shared their stories set in other countries. As I read those dozens of novels in verse, I took a look at setting and character and style in a more holistic way. But as I begin to hone my own novel in verse, I wanted to look into two specific things: Beginnings and Transitions. An agent showed some interest in my novel but noted some issues with my beginning. I wanted to study some things that other writers did in the beginnings of their novels in verse to ground the reader. I read several beginnings of novels in verse and made detailed notes. In some cases, there was some sort of beginning information in the form of a quote, a note, a preface, or even headings of some kind set apart to tie the reader to place, time, or both. I also wrote down the kind of information that was provided for the reader. I love studying the ways that the book layout even contributes to the overall reading experience. As I read titles of the poems and wrote them down, I wanted to see how the titles fit with the overall poem. Sometimes the poem titles served as the first line of the poem. My biggest takeaway is that titles often served as transitions. One of the questions I asked Caroline Rose Starr in her Teachers Write post was about how she does transitions. Other times, transitions came in the form of locations and dates in between poems. As part of my study of beginnings, I also wanted to see what kind of information was conveyed in the first 8-10 poems. As I studied those opening poems in each book, I actually made notes on what information was given: character, setting, plotting, and how it was handled. In the aforementioned post by Caroline Starr Rose, she says, “If a prose novel is a rolling film, a verse novel is a collection of still photographs, placed one against the next.” My goal was to see how those “photographs” fit together like a puzzle to form a narrative. 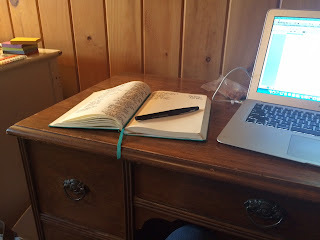 For me, each book I write requires different things. I study different mentor texts at different stages of my process. 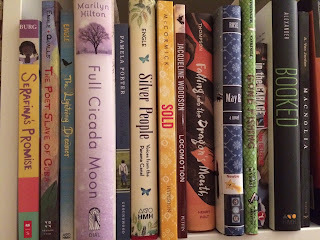 If you are also writing a novel in verse, I’m including some recent links below. 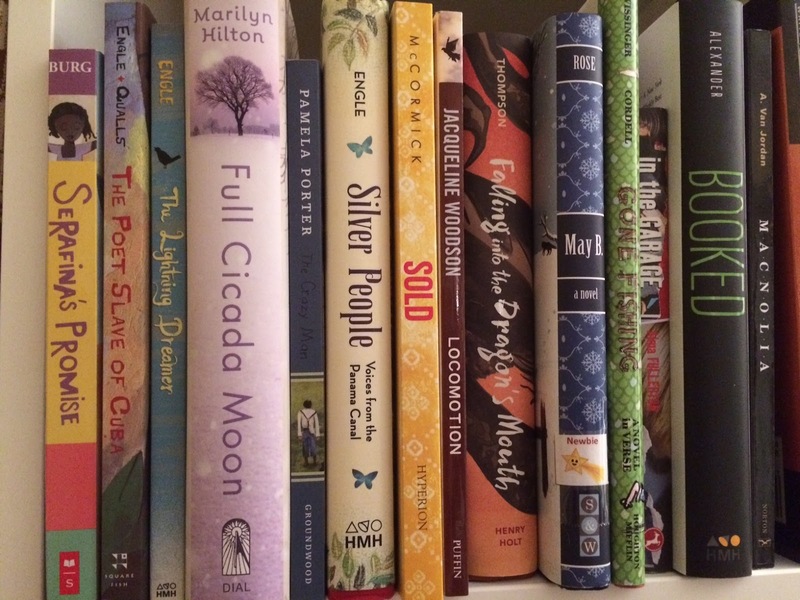 If you are writing a different type of book, I hope you can apply some of my mentor text studying process to your own project. Marcie Flinchum Atkins has been an elementary educator for 19 years. 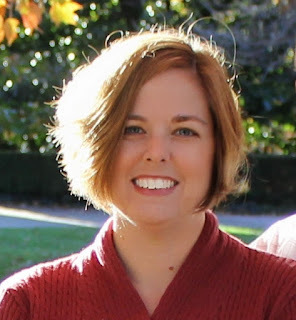 She is currently a PYP/IB librarian in Falls Church, Virginia by day and writes books for children in the wee hours of the morning. She has a M.A. and M.F.A. in Children's Literature from Hollins University. She blogs about mentor texts at: www.marcieatkins.com. You can follow her on Twitter @MarcieFAtkins. to help you make your work stronger? A big bear hug and giant thanks to Marcie for stopping by today!